Under President Bush, not much happened at the federal level when it came to climate change. During that bleak time, environmentalists could at least look to the states for a glimmer of progress. States in several regions organized carbon cutting initiatives and proposed some moderate but important greenhouse gas reductions. These local, largely market-based programs could jump-start America’s climate efforts and prove to the nation that cap-and-trade is not a dirty word. With a new, environmentally proactive president in the White House and Democratic control of Congress, hope had recently escalated that a national carbon pricing mechanism might be within reach. That hope is now flagging. Unfortunately, it is becoming increasingly unclear whether the states can still be relied upon to pick up the slack. Many important elements of the regional initiatives were set to kick-in by 2012. But now states in the Midwestern Greenhouse Gas Reduction Accord are not likely to meet their goals for the actions planned for 2012, due in large part to the recent economic downturn and upcoming gubernatorial elections. Some states in the Western Climate Initiative (WCI) have effectively dropped out of the accord: Last month, Arizona’s new Republican governor decided that the state’s economy could not afford a cap-and-trade regime and pulled out of the major commitments under the WCI. This month, Utah’s legislature is pushing its governor to follow suit and withdraw for economic reasons. Even California — largely a success story on state action on climate change — may have trouble meeting all its proposed climate commitments due to budget shortfalls. A legislator recently introduced a voter initiative, to be decided in June, that would halt California’s participation in cap-and-trade until unemployment drops below 5.5 percent. 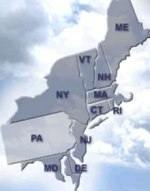 On the East Coast though, the Regional Greenhouse Gas Initiative’s carbon allowance auction is up and running, most experts expect allowances prices to remain weak in the future because of oversupply: in other words, the cap is not nearly as tight as it should be and results are not as impressive as they might have been. There is a disturbing aspect to this trend of states not quite living up to their earlier promises: In most cases, the reason cited for delay or withdrawal is economics. And yet the positive economic effects of cap-and-trade are not being considered by the states. Nor are the extremely negative economic effects of inaction. Cap-and-trade will generate revenue that can be directed to fund green jobs or to help balance state budgets. By delaying or withdrawing, states are sacrificing those important economic benefits. Maine’s governor recently credited RGGI with the creation of 1,000 new jobs; in Massachusetts, RGGI revenue partially funded a program involving 4,000 jobs; in New York, RGGI revenue may be a possible source to help balance the state budget. States need to think more critically about the real economic impacts of climate change before pulling out of programs that could help create jobs in addition to protecting the planet. There is some good news: California does remain active and RGGI governors have recently begun discussions to add a low-carbon standard for gasoline. But overall, significant state-based programs on climate change are in real danger of losing strength and collapsing. These regional accords must be shored up, particularly since it once again seems unlikely that the federal government will be able to take comprehensive action any time soon.